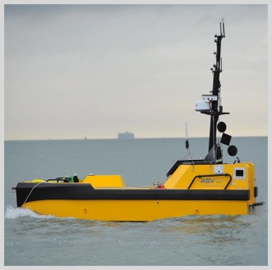 L3 Technologies (NYSE: LLL) has purchased unmanned surface vessel developer ASV Global for an undisclosed sum in a move to expand its autonomous maritime capabilities. The acquired company will operate as L3 ASV and will help L3 broaden its range of offerings such as integrated unmanned undersea and surface vessels, autonomous off-board sensors on future surface combatants and integrated anti-submarine warfare platforms, L3 said Monday. 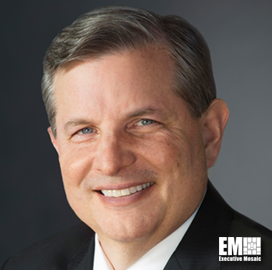 “The addition of L3 ASV enables us to deliver both unmanned surface and undersea vehicle technologies to an expanded international customer base and take a prime contractor position on major unmanned systems,” said Christopher Kubasik, L3 chairman, president and CEO. ASV Global has offices in the U.K. and Louisiana and produces USVs and autonomous maritime systems that comply with the International Maritime Organization’s International Regulations for Preventing Collisions at Sea 1972. 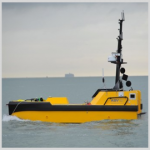 The company’s C-Worker 7 is an autonomous surface vessel that works to perform subsea positioning, environmental monitoring, surveying and other coastal and offshore missions. L3 is one of the 23 companies that won spots on a potential $794M contract in July to help the U.S. Navy research and develop unmanned undersea vehicles.